Online placement is driving the trend. Views on branded video content have increased by 258 percent on Facebook and 99 percent on YouTube, according to Tubular Insights. 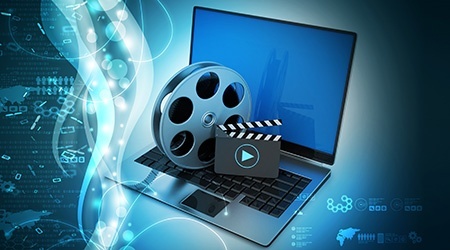 Furthermore, 78 percent of marketing professionals are investing more in online and digital video ads than in traditional television spots, according to the 2018 Pulse of Video Industry survey published by StudioNow, a cloud-based platform for video sourcing and production. This shift to digital ads creates challenges for brands, as the popularity of snackable content—those quick hits on social media—means a surge in the amount of content produced. But how is it possible to do within the same overall budget? At CMI we often hear concerns about creating quality video without draining resources, time, and marketing dollars. There are several ways to address this. Traditionally, a company might look for cost savings in the production itself, perhaps by limiting its scope, reducing the number of location shoots, or compromising in some other way. The reality however is that actual costs of video production have fallen dramatically, especially when you’re able to tap into the “gig economy” side of things. It is true: perhaps the biggest hidden cost of video production in the recent past was resources spent on intermediaries, such as agencies…. “Now there’s this short-term content that doesn’t have as much shelf life. It could be high visibility on multiple distribution channels, reacting quickly to a market that’s not going to be relevant for long. What’s the appropriate amount for a brand to invest in a production that only lasts three weeks?” says Tyler Brantley, a director of business development for StudioNow. If you’re not familiar with StudioNow, it’s an efficient business model for accessing a wide range of creative professionals while controlling costs. The company has a network of more than 10,000 industry vendors in more than 6,000 cities around the world. The firm developed a platform that lets brands decide how much they’re willing to allocate for a large or small project, then put out the RFP to a wide range of vendors. In addition to connecting with talented professionals you’d probably never know otherwise, this method offers the chance to find a low bid with someone eager to work with your brand. The bidding platform helps tremendously to control the cost of production without sacrificing quality or time. As a localization partner, CMI makes the globalization a seamless part of the creative process. Check out StudioNow to learn more about their offerings. If you’re trying to add more video to your content strategy but don’t know where to begin, contact CMI to get started.